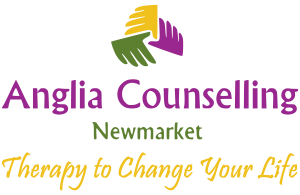 Understanding the Narcissist - Anglia Counselling Ltd.
Of course, not all narcissism is unhealthy, but there is definitely more awareness now than in previous years, and you have likely seen many articles posted on social media about narcissism as an unhealthy personality trait. But how does this relate to us personally? Are these articles just talking about domestic and emotional abusers? In both social settings and in my professional practice, I, unfortunately, witness the effects that narcissism can have on the individual. Many who I come into contact with (both online and in the real world) speak of a parent, partner, or family member who displays certain behaviours and with whom they find difficulty in dealing with. Clearly distressed with the situation, they find themselves suffering very low self-esteem, emotional turbulence, guilt and anger. Some have been haunted for many years as they feel trapped in an unwanted situation with no escape; even if they no longer live with the person, the narcissist’s conditioning continues to impact on their self-esteem and place in the world. However, when a person realises that it isn’t ‘them’ and it’s the narcissistic behaviour of another that is causing this distress, it can provide a certain amount of relief; they become aware of the term, how it relates to the person in question – and can even explain the why. Becoming an ‘authority’ on the subject can help to bring a certain amount of peace, and eventually, even acceptance! You may recognise certain characteristics of the person who is causing you distress; they may try to control your beliefs or actions, impose their views and/or beliefs onto you, show a lack of respect and/or disregard for your feelings, views, thoughts or beliefs. Their behaviour can cause you great emotional turmoil even if you feel you are ‘dealing’ with it as best you can. It is especially more difficult and damaging to oneself if the situation goes on for a long period of time – years in many cases. Probably the most challenging aspect outside of the impact on our self-esteem is the frustration we feel at trying to meet the needs of this abusive individual. It will never change, but, despite understanding this, we continue to live in hope that one day, we will be thought of by the narcissist as good enough. 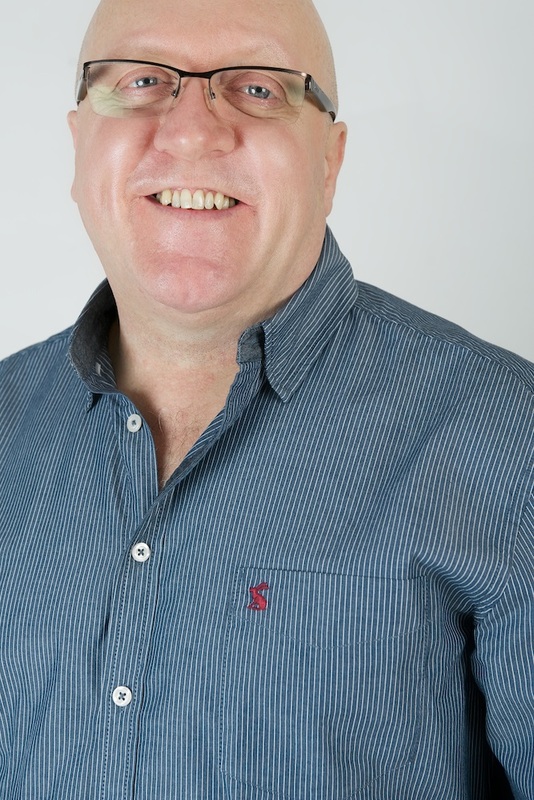 It’s important to realise that the narcissist could be ‘anyone’ – a parent, a sibling, a partner or someone who you are involved with outside of the home who has some influence in your life (ie a boss, family ‘friend’, extended family member or someone who is part of your social circle). Narcissism isn’t just something that relates to certain types of abuser – and coming to this knowledge can have a profound effect upon oneself. So, is it possible to ‘accept’ a narcissist? Isn’t it crazy to even consider it? First, we need to consider what acceptance is – and what acceptance isn’t! Secondly, we need to determine how acceptance can play a role when dealing with someone who displays narcissistic behaviour. As part of my 8-week online training program, Your Mindful Journey, we cover the subject of ‘acceptance’ in the fourth week. Acceptance doesn’t mean we ‘give up’ or ‘give in’ to a situation – or in this case, the narcissist. It also doesn’t mean that we ‘agree’ with the situation or ‘agree’ with their actions. 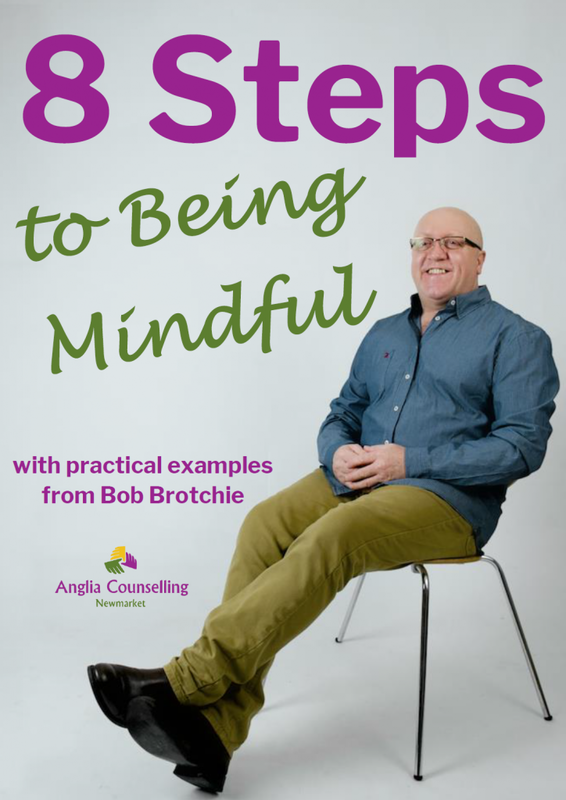 So, keeping the narcissist in mind, by being mindful, we are firstly aware of our feelings, thoughts and actions – and – we can then learn to be accepting of them. We don’t ‘judge’ ourselves for having these thoughts and feelings. In other words, we don’t live with the guilt that may consume us for feeling the way we do about the person or the situation they may have created. Well, you can’t. There are certain things you CAN do to control your reactions to the situations that arise to provide some relief or calm a situation, but you cannot ultimately change their behaviour. As we have seen mentioned above, narcissistic behaviour is part of the narcissistic personality. The narcissist may even be aware of their behaviour and (at times) may even try to control it, but without the ability to show empathy, permanent change is unlikely. The narcissist may behave in a kind manner towards you one minute, but this behaviour doesn’t tend to last very long. Remembering that the situation is caused by the narcissistic personality and that you cannot change the person’s behaviour. Realising that you are not the cause of the situation or their behaviour, and nor should you feel guilty about your negative feelings toward them. Accepting your feelings (of guilt, sadness, anger etc) are part of the process to finding more peace. Ignore. Like dealing with a bully, if you ignore the harshness, it gives them no satisfaction, and they will find someone else to pick on. Don’t take the bait and fight with them. Turn the other cheek, and don’t justify or defend your actions to them when you do. Understand their criticism for what it is. It is not about you, it is about their disorder. Don’t personalise what is said to you. When you communicate, set clear boundaries, and use clear communication. Say what you mean directly. If you have to make a decision to stay away, make it clearly and boldly, and follow through. Believe in your own intuition and feelings. Our bodies tell us when something is not right, and when people are treating us badly. Remember, you get to protect YOU, and you can do it. Don’t expect other people to rescue you from a narcissist. It is empowering to stand up to them and claim your voice. Remember, we all deserve to be treated with kindness and compassion. It’s a worthwhile goal to work to bring more kindness into the world for others. Be an example for your kids, friends, and family. Why not try using Grey Rock? When being confronted time and again by the narcissist, to preserve your energy and protect yourself, behave like a boring grey rock. By using single word replies, a dull tone, staying or appearing ‘emotionless’, the narcissist will soon lose interest and go for a fix elsewhere. Every situation is different and some may be more difficult than others. The above are a few quick suggestions and may not be easy to implement dependent upon your circumstances but you CAN make a start. I can recommend some wonderful support groups, like Swan Waters and my training program Your Mindful Journey. 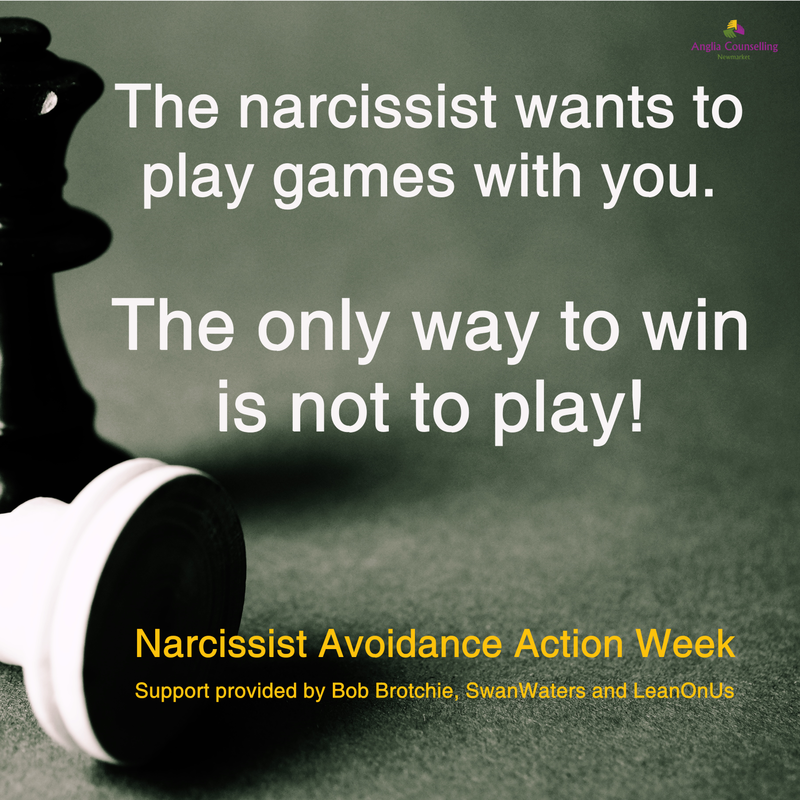 Also, during the week of 22-28 January 2018, I will be joining in the launch of Narcissist Avoidance Action Week in partnership with SwanWaters and LeanOnUs who will also be providing excellent insight, tips and resources. Join me on my Facebook event The game’s up for the narcissist (in your life)! I’m also available if you have any questions about your situation and can help you work through it.